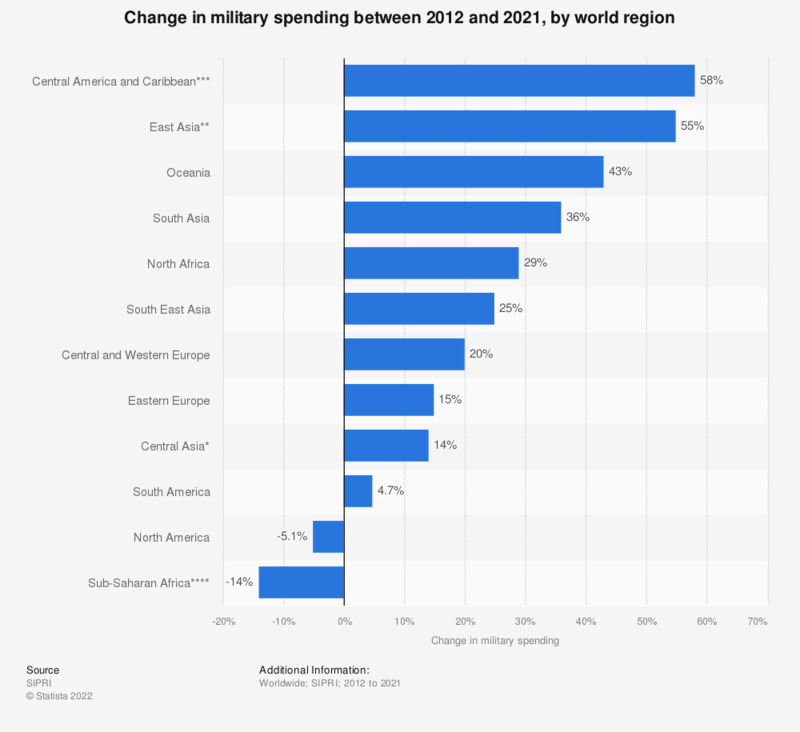 The statistic shows the change in military spending between 2008 to 2017, distinguished by world regions. Military spending in Eastern Europe decreased by 18 percent in 2017 from the previous year and increased by 33 percent between 2008 and 2017. Figures for changes are calculated from spending figures in constant (2014) prices. The source did not provide data for the Middle East.